Serious business professionals that need to present in Rhode Island know that if they want to achieve the best results for their professional image, they choose the superior service of Rental Projectors for all of their DLP and LCD projector needs. Our successful clients in RI know that when they rent cutting-edge projector equipment from us, they are renting from much more than just a run-of-the-mill presentation equipment rental company. They are renting from the most experienced and dedicated company that makes their clients’ success a number one priority. They are aligning themselves with an unmatched team of projector specialists that have unrivaled training and expertise with LCD and DLP projectors and how our clients and potential clients alike in Rhode Island can use our exceptional rentals to boost their professional image to new heights. Rhode Island has a thriving economic climate that is a powerful leader in health services and is home to many Fortune 500 companies. 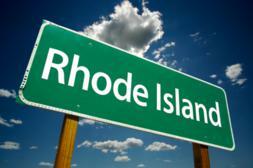 So when competing for business in RI, anything but the absolute best will prove unsatisfactory. Our professional clients know that their important professional image is something not to be gambled with, and this is why they choose to arm themselves with the latest and greatest technology in DLP and LCD projectors. Our incredibly large and diverse inventory is stocked full of only the most incredibly versatile, outperforming and durable digital projectors. Our first-class presentation equipment rentals undoubtedly help our clients rise high above their competition when competing in a dominating economy like Rhode Island’s. What helps push our presentation equipment rental company high above our competition is our unique team of extremely talented experts that prove to be a powerful partner in our clients’ success when they are presenting in RI or anywhere in the United States. Our projector specialists only concentrate on how our clients and potential clients can use our exquisite line of portable projectors to help them mesmerize as well as instill confidence in their potential business associates or investors. Our specialists remain tied to our clients in RI during their entire rental process and are there for them twenty-four hours a day and seven days a week to address and quickly fix any problems or concerns our clients may have during their rental experience with us. Here at Rental Projectors Corporation, we are focused on your image, and we will do everything in our power to aid in your professional success.